You shouldn’t judge a book by it’s cover, right? Wrong. I’m always judging books by their covers. ha. 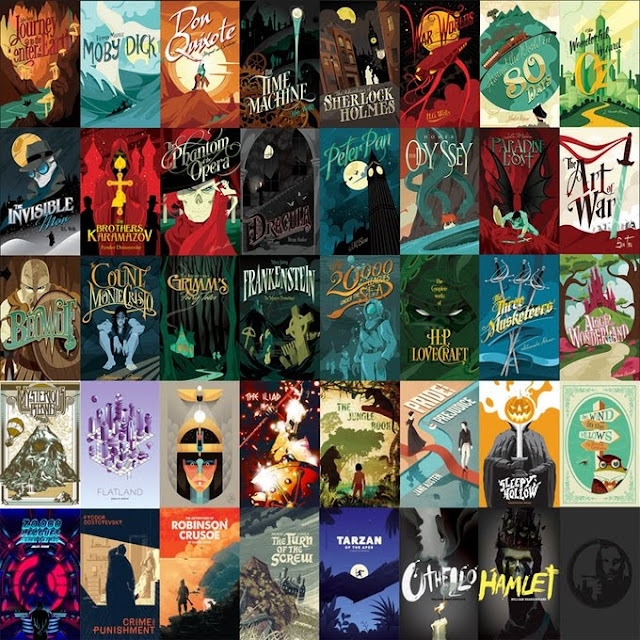 When David Mautz from @rockpaperbooks asked if I could help spread the word about their Kickstarter campaign to raise at least $20,000 to expand work on creating fun new covers to help get young readers excited about the classics, I was more than willing to help. There are 5 more days to go, and they are just shy of $4,000 before they reach their goal and their project is funded. Go check out their pages and see the cover art. They’ve also got some fun prizes for their backers. I think it’s a project and a vision worth spreading the word about. Me, I’m hoping to see a new "Anne of Green Gables" come off their press, but really love many of the covers they've already produced. Do you have a favorite classic cover? I particularly like seeing different covers of Peter Pan. There’s always something magical about any take on that story.